How Does TrackMyFone Mobile Phone Tracker Work? Worried your kids are sneaking away to undesired places? Or do you want something that will make managing fleet staff easier for you? With TrackMyFone Mobile Phone Tracker, you’ll know exactly where your kids or employees are, no matter where they are in the world—and you’ll know it with the most immaculate accuracy. 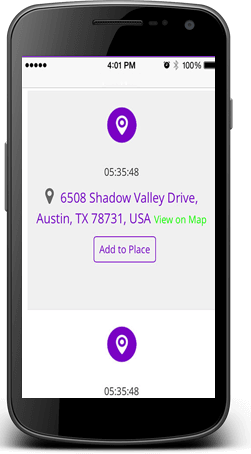 By simply logging on, you can find out their precise locations with the timestamps. So you can stop playing the guessing name and always stay informed. GPS tracking isn’t the only think TrackMyFone is good at. You’ve got plenty of monitoring tools to help you look after your kids or run your business. Here’s a list of all the things you’ll be able to do. Want to Learn More About TrackMyFone? Got any more questions that you’re just aching to find out? We’ve got loads of information for you. All your queries about TrackMyFone are just a click of an icon away!